The unusually proportioned Vuelta armchair features an armrest that wraps playfully around the seat. 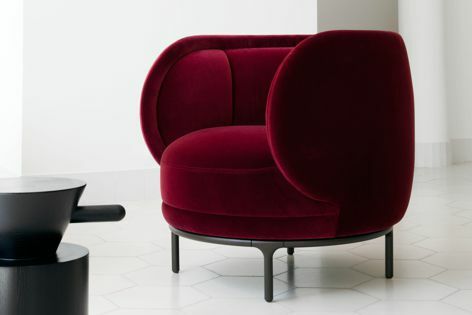 Designed by Jaime Hayon for Wittmann, the Vuelta armchair is characterized by unusual proportions that see the backrest rotate playfully around the seat to become a voluptuous armrest that embraces the occupant. The special shape is divided by expertly crafted seam patterns inspired by Josef Hoffmann and Viennese Modernism.